Vripack goes long for a client and scores big with it's Brazil house concept. Vripack goes long for a client and scores big with Project Casa. 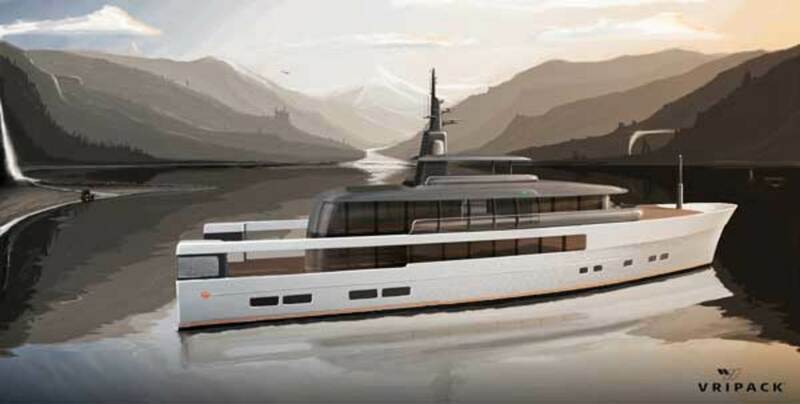 Designing a new concept yacht is a special endeavor for any design team, especially when the owner’s brief requires thinking outside the box—or in the case of Vripack’s latest concept, approximately 7,000 nautical miles outside the box. When a young yachtsman decided it was time to upsize, it meant commissioning a world wanderer for his whole family—spanning three generations of avid sailors from grandparents to grandchildren. 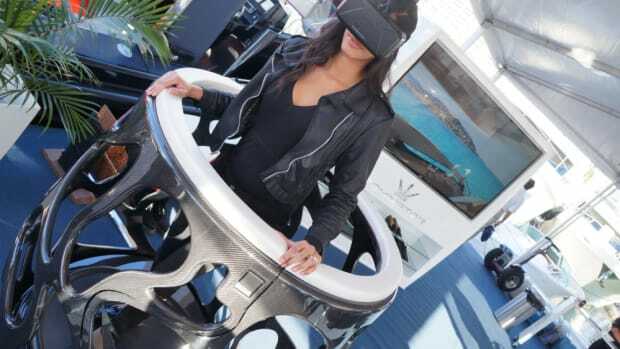 Vripack has a self-branded corporate culture, VriThink, that aims to revolutionize yacht design by seeking out and harnessing creativity spotted in global trends. The team found its solution within the architectural styling of a Brazilian house—nearly 7,000 miles across the pond. 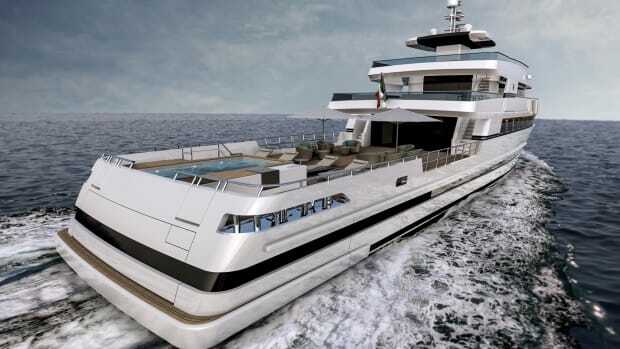 While the Brazilian house concept, which allows climate and culture to guide the family-centric design process, isn’t necessarily new to land-based construction, it’s certainly at the cutting edge of European yacht design. The quintessential Brazil house takes alfresco living a step beyond your typical patio or balcony with a long, open interior layout and a loft element that caters to both privacy and openness. The main level is wide open and can get rather creative in design. In contrast with the modern lower level, the loft overhead is typically warmer and more intimate. To accommodate several different styles of living under one roof, Vripack’s Brazil house concept involved several unique design elements, which were addressed in the conceptualization stages. This mid-deck area connects to two VIP staterooms, allowing elderly guests to be at ease and still be part of the action. 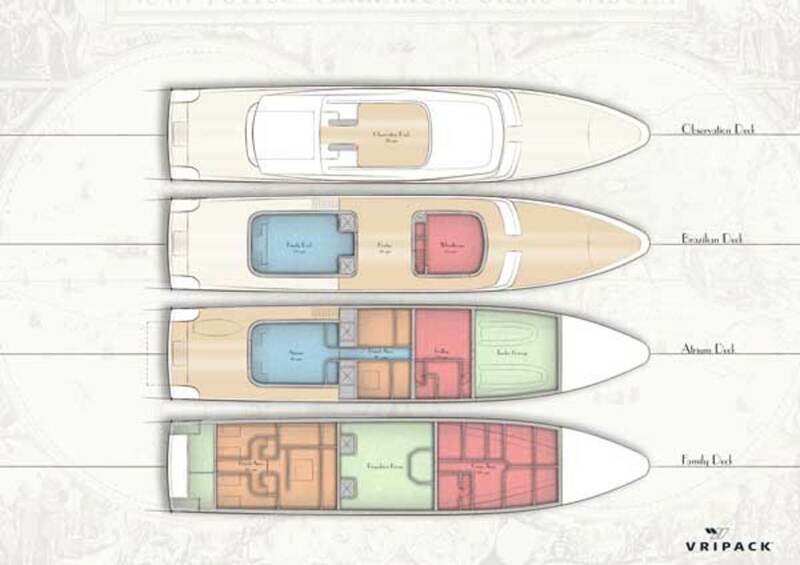 Belowdecks, the layout features a large parents’ room, which connects to two kids’ rooms, with the option to keep all rooms open as a giant family suite. 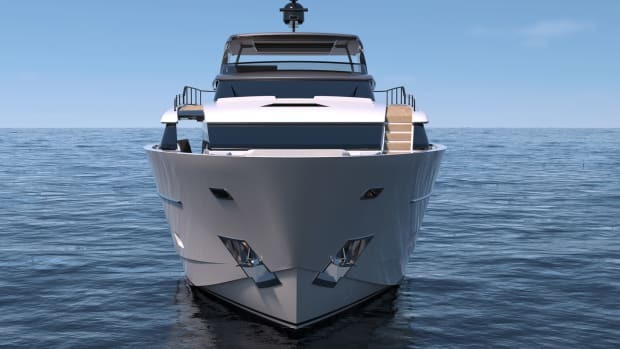 The main deck aft remains obstruction-free, which permits space for numerous toys and tenders, such as daysailers—surely a welcomed convenience by three generations of sailing enthusiasts—and Vripack has cleverly integrated a launching crane into the bulwark. YI: Surely you encountered some obstacles in adapting a land-based construction concept for the open ocean. 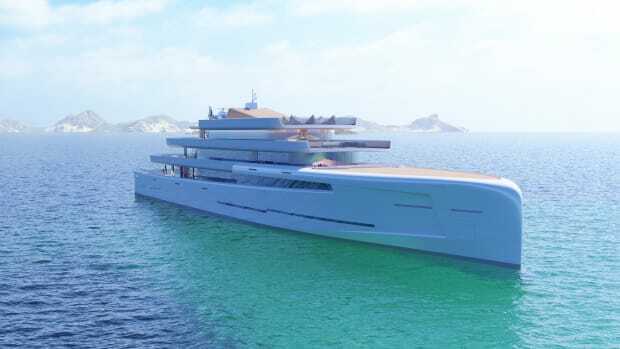 MH: It can be easy to go way overboard on something like this and make something extremely modernistic, but for the owner it still must look like a yacht—not just a fancy object. 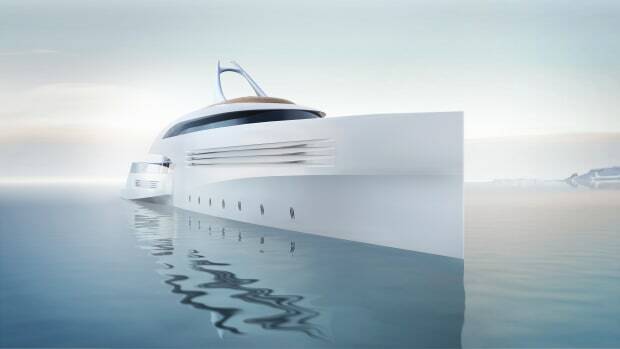 It needed to be fresh and modern, but still keeping somewhat traditional yacht lines. It’s not a building; it’s a ship, and it needs a bow. 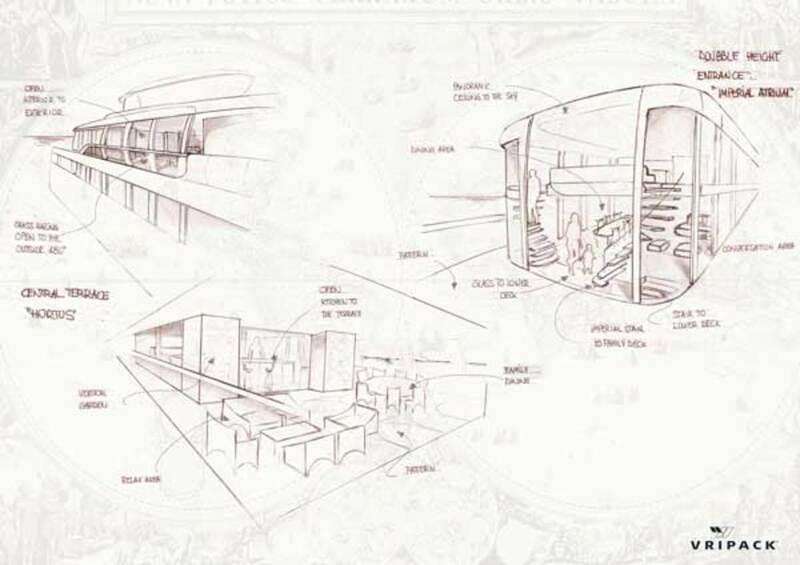 As we moved aft from there, we then looked for opportunities to [incorporate] ideas from contemporary architecture. I think we’ve blended those two worlds very nicely in the final design of Casa. YI: What most required your team to think outside the box? MH: Having to accommodate three totally different generations with different needs. Grandparents may not be able to move around easily. 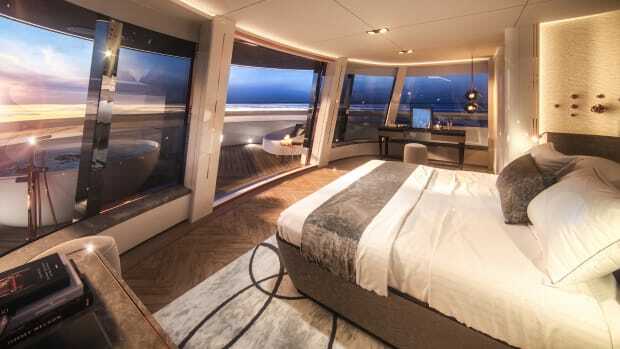 To account for this, we designed the welcoming main deck family area near their cabins, so when on board they can be connected to the central living space with little effort. The children require safety and the ability to be outdoors but still protected from the elements and visible to parents. With three generations, plus captain and crew, there’s definitely a lot happening on this boat, which we had to account for. YI: Is this the first modern explorer concept for Vripack? MH: The term modern explorer has become cliché. 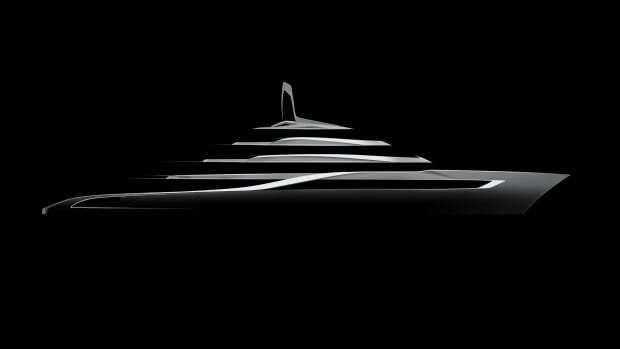 We have a tremendous amount of experience in modern explorers, but it’s the new degree of modern in this concept that’s so exciting for us and yacht design as a whole. We’ve embraced it. To have a client challenge us to put on our thinking caps and have a fresh take on a traditional concept is always a thrill. 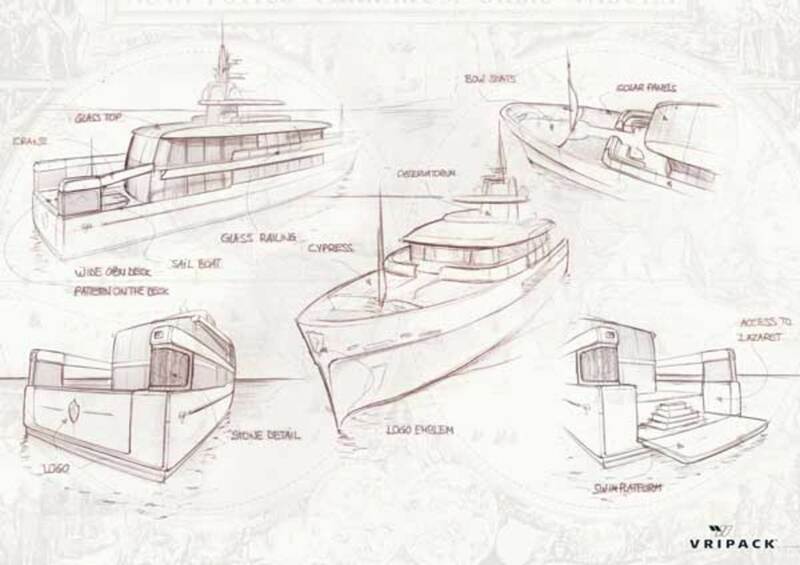 YI: How soon might we see Project Casa make her maiden voyage? MH: We are already in the process of selecting a builder and will begin laying down the terms of a deal very soon. 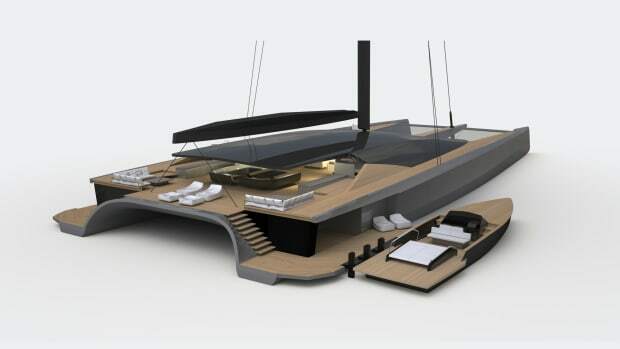 It’s not every day you get to work on such a fresh concept, and we believe we have designed something revolutionary here, so we can’t wait to see her fully constructed and on the water. YI: Where does the owner intend to take the boat? 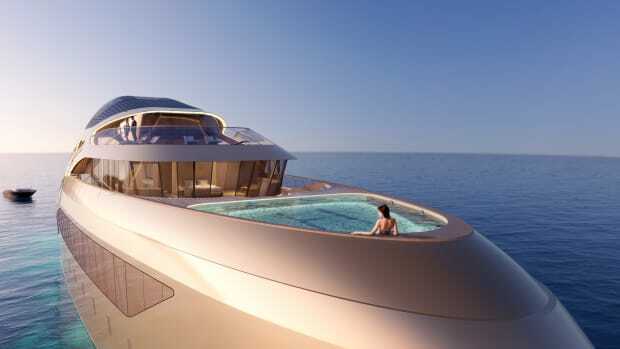 MH: In the exact words of the owner, ‘Everywhere except the Med.’ He seems to be quite the modern explorer himself.